Boost Mobile has launched the Kyocera Hydro, which may the answer to the problem of damaging the smartphone by accidentally exposing it to water. 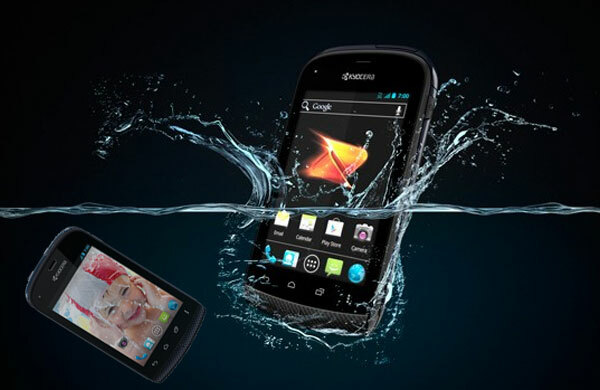 The Kyocera Hydro is a waterproof smartphone that is being marketed this summer by Boost Mobile. There are endless times when the smartphone gets accidentally sprayed upon. Or it may be dropped into water on a trip to the beach or the swimming pool. It is thanks to the Kyocera Hydro that users can no longer worry about getting their smartphones made useless by exposure to water.But this is not the only thing that makes the Kyocera Hydro unique and a must buy for smartphone users. Although this might seem like a minor innovation, the statistics show a different picture. Most importantly, damaged caused by water usually cannot be reversed. A damaged screen can be replaced at little additional cost but a smartphone damaged by water becomes nothing more than a toy. More than 82.5 million smartphones across the United States have been damaged as a result of water exposure, according to the findings of one study. Even more so, more than one-fifth of insurance claims for handsets relate to damage caused by water. The Kyocera Hydro is powered by a 1 GHz Qualcomm Snapdragon processor, which is a reasonably fast processor for its category. In addition, the Android 4.0 operating system enabled the users to access more than 60,000 Android Apps in addition to music and movies. The viewing experience is enhanced with the 3.5 inch touch screen. The battery can be run in Eco Mode to use the power efficiently. It also comes with a 3.2-megapixel camera that has its own flash and can also be used to record videos. The Kyocera Hydro is one of the most lightweight smartphones around because it weighs no more than 4.16 ounces. It offers 3G connectivity allowing the user to connect to millions of 3G users across the country. The usability is further enhanced through the waterproof nature of the phone. Instead of wasting their time trying out imaginative remedies to make the waterlogged smartphone work, users can save their time and spend it on enjoying the content offered by the Kyocera Hydro. In addition, customers are not bound by any contract with Boost Mobile and benefit from having to pay progressively smaller payment over time. Customers not only get great functionality but also great peace of mind knowing that their smartphone will not get damaged so easily. Previous PostHow to Make a Profitable Website?